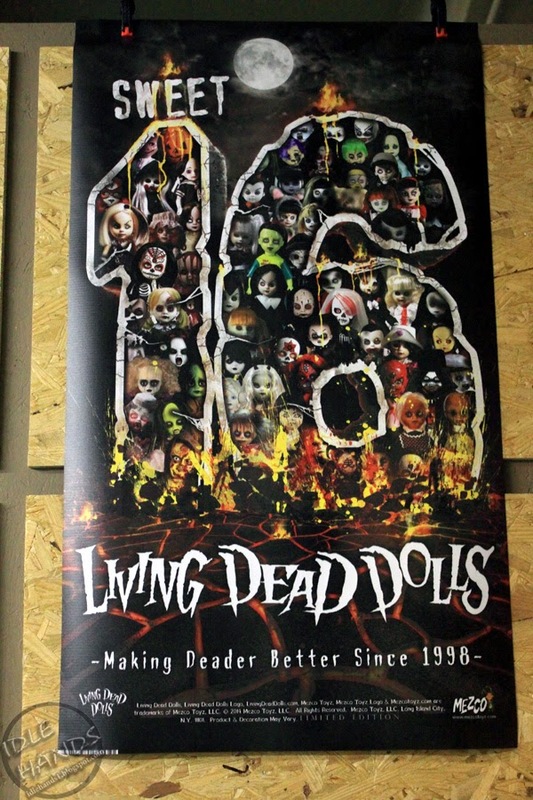 We proudly present...Living Dead Dolls 27! 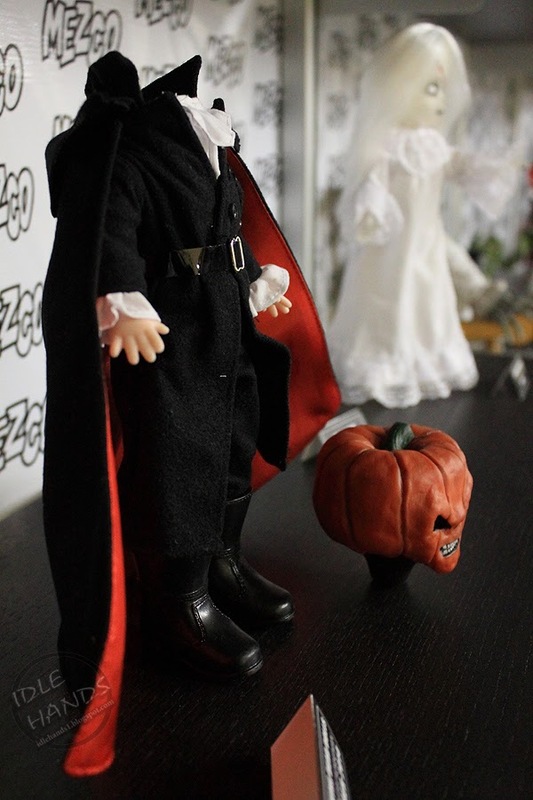 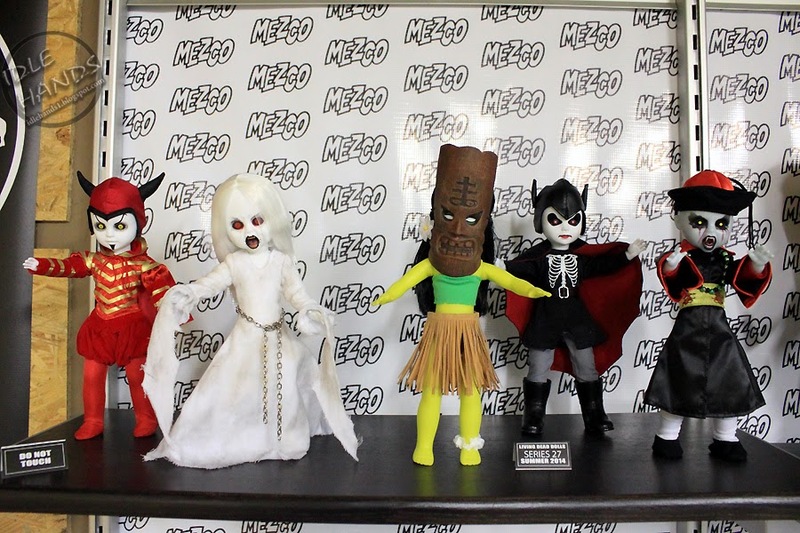 The theme is "Myths and Legends from around the world" with Mephistopheles, Banshee, Milu, Spring-Heeled Jack and Hopping Vampire. 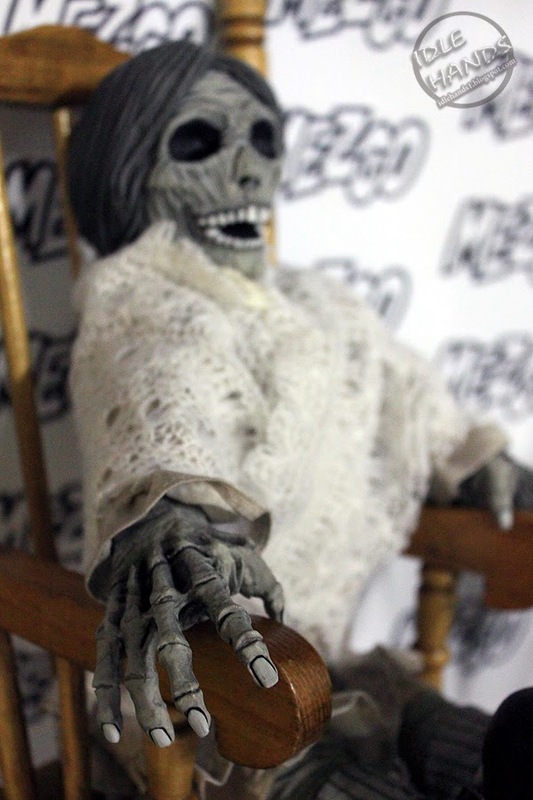 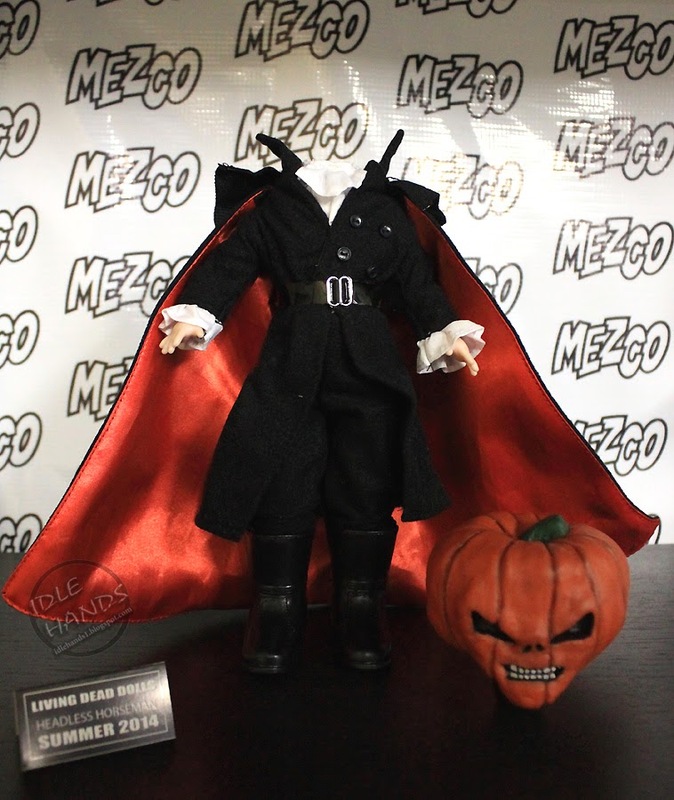 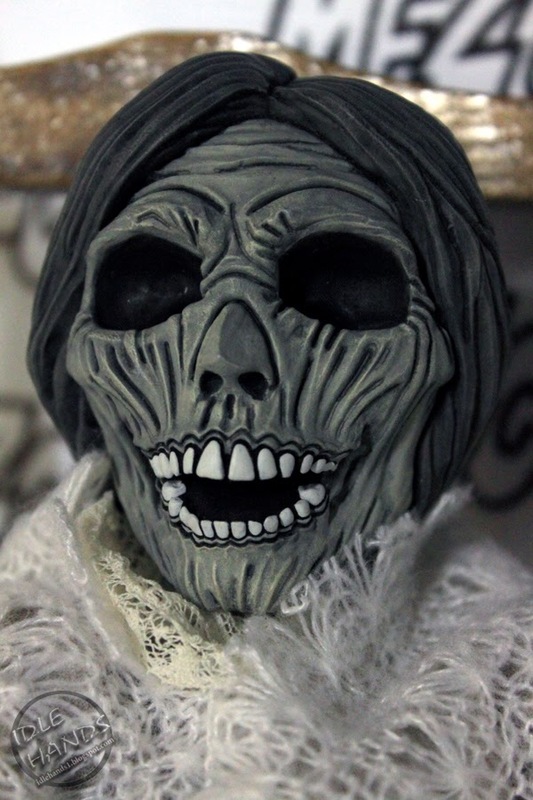 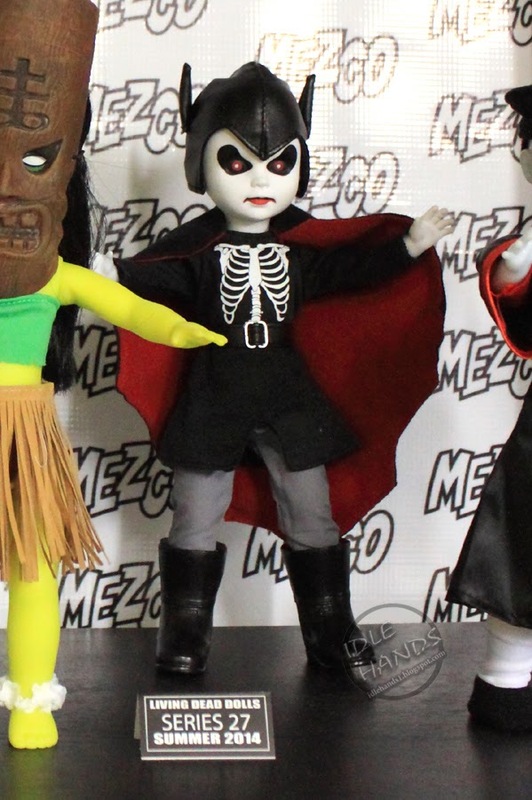 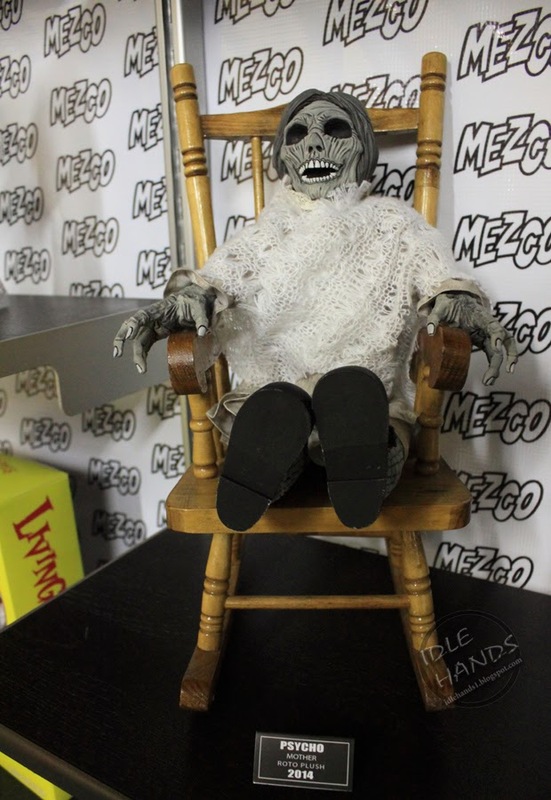 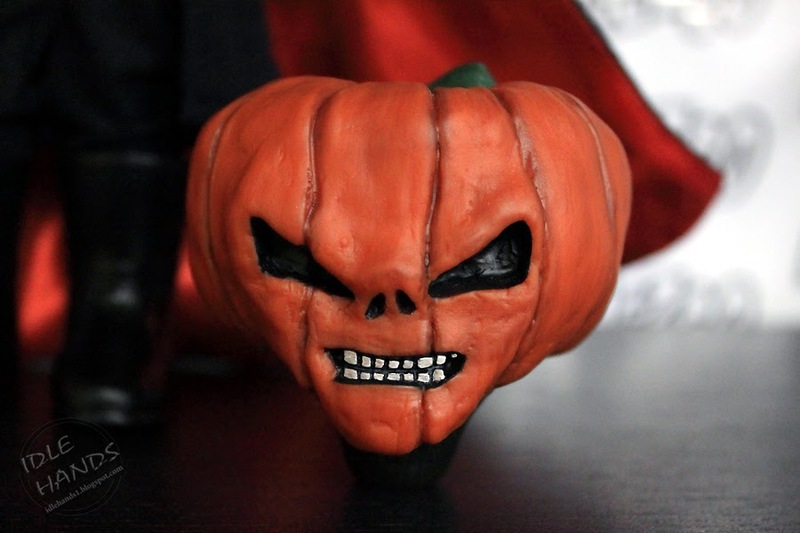 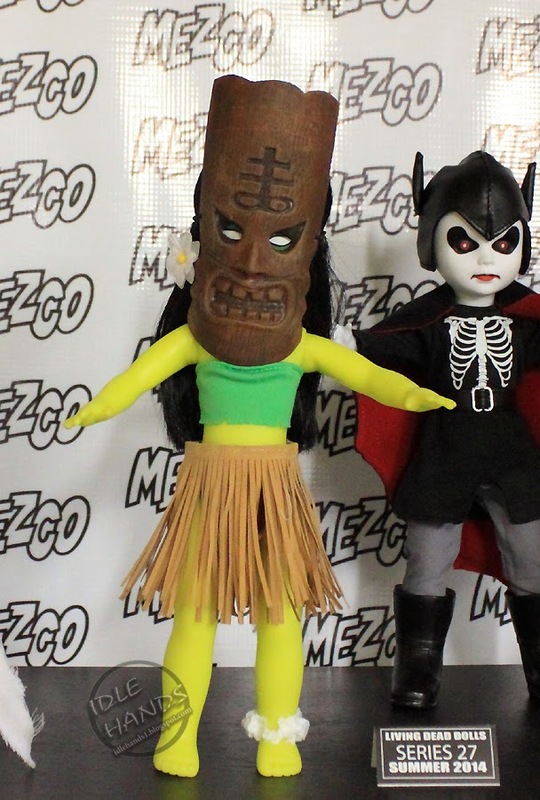 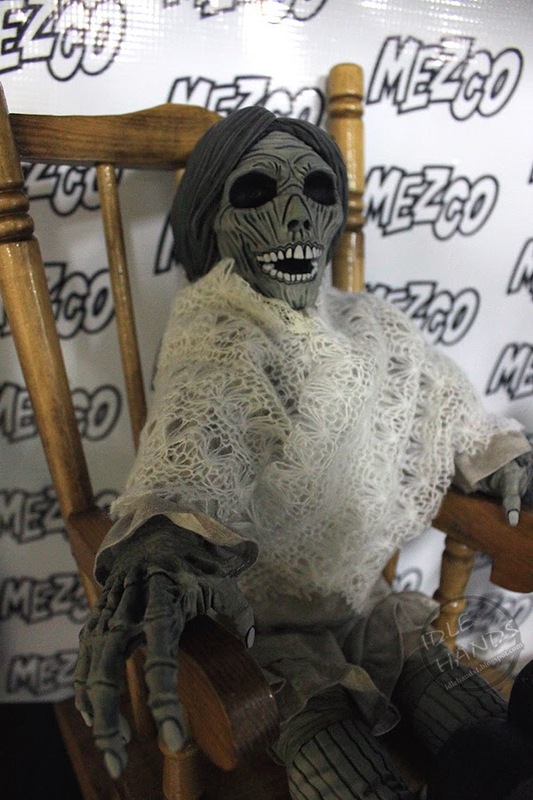 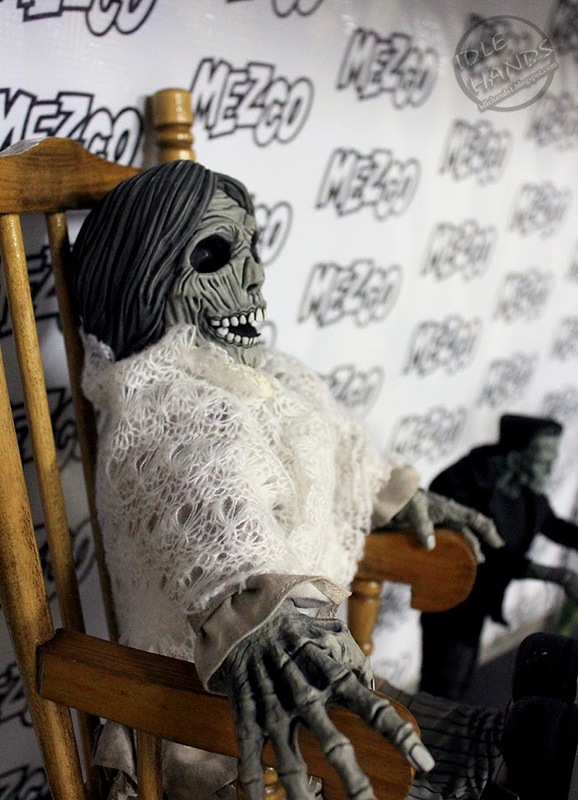 Horror has always been a major subject of Mezco products. 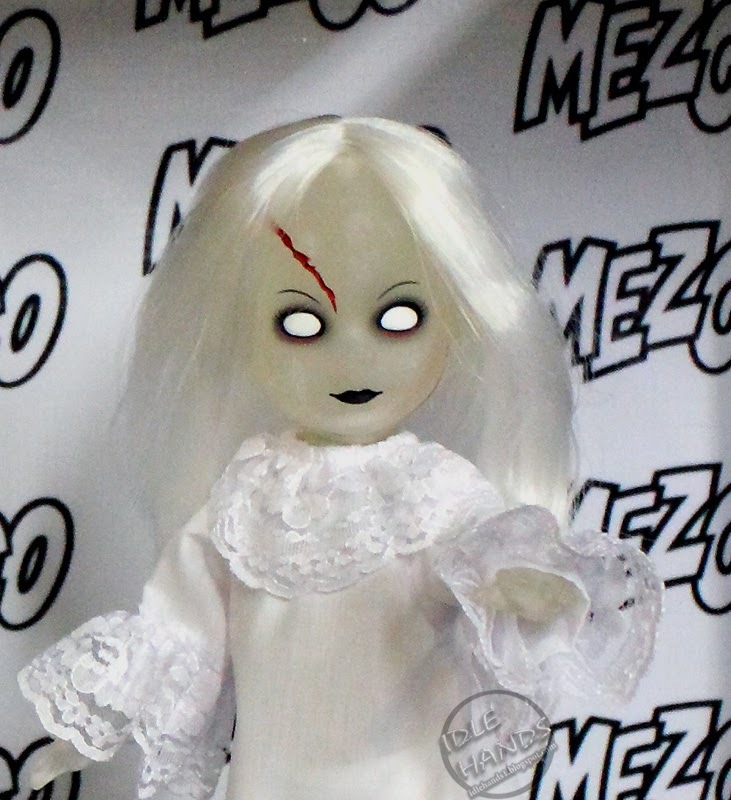 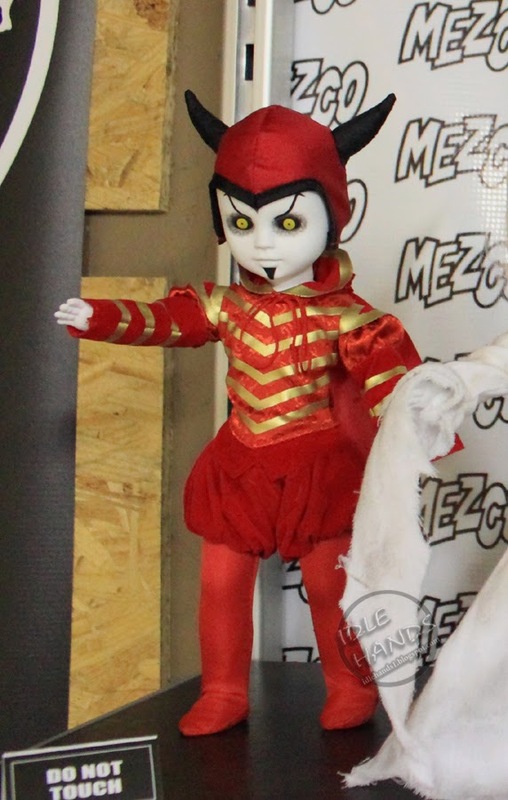 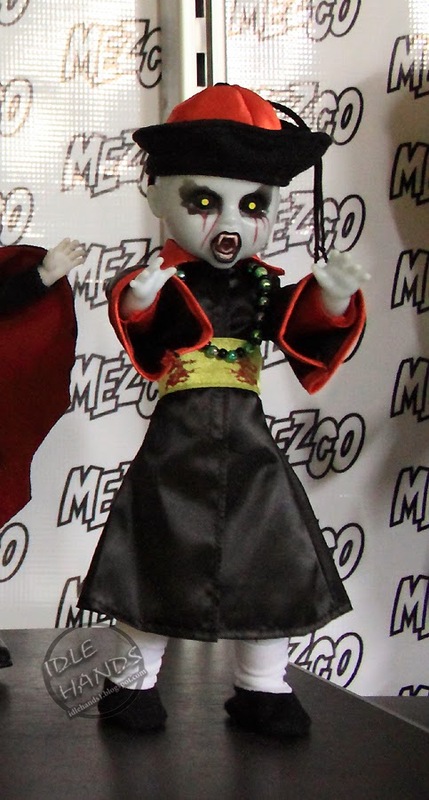 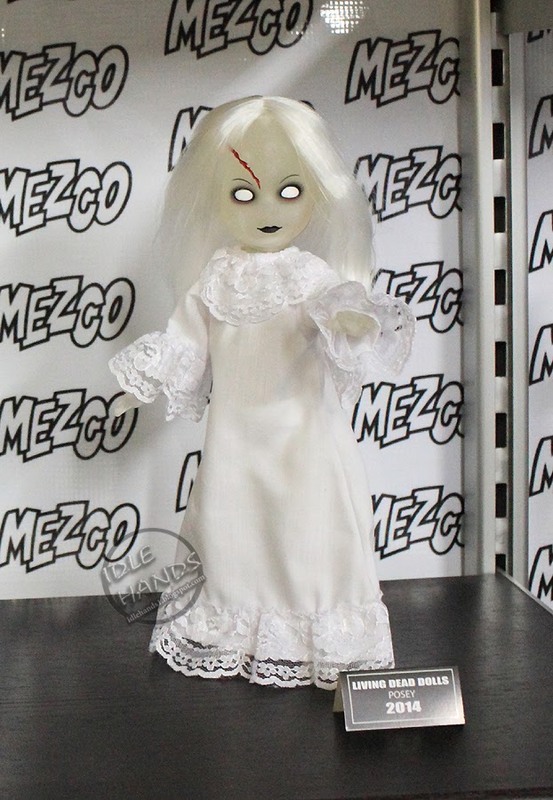 Yesterday, we mis-identified a new doll as being part of the LDD line, but it turns out the Mother from Psycho is actually a Roto Plush. 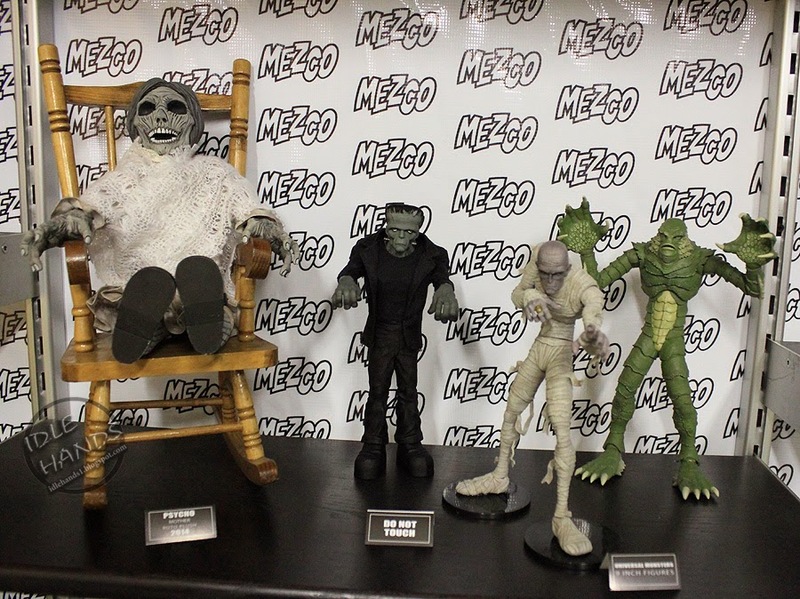 Alongside of her, you'll spot the Universal Monsters, but note no new additions to the line. 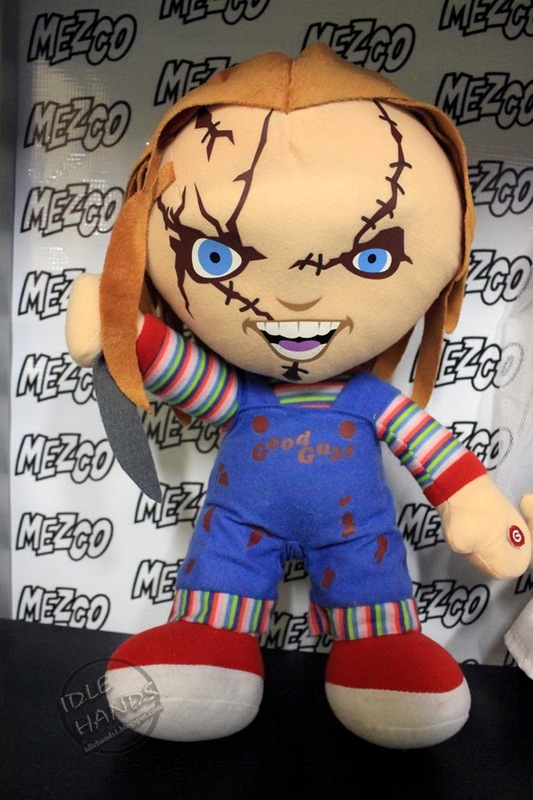 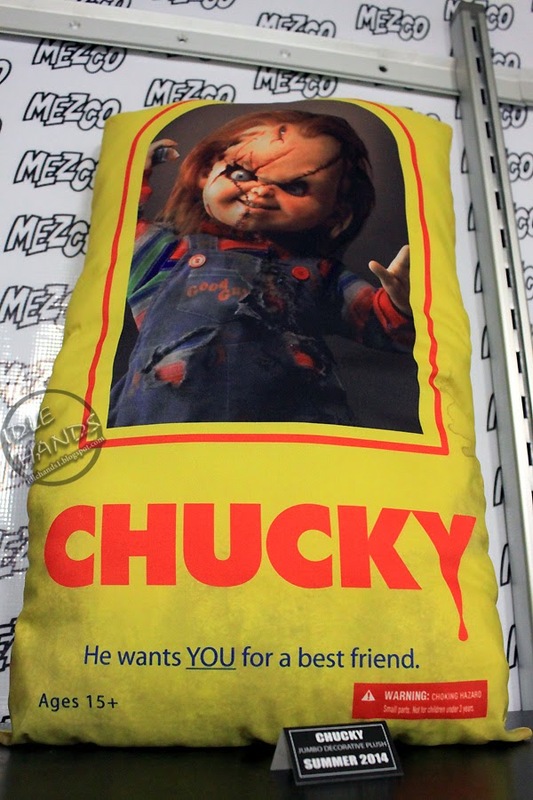 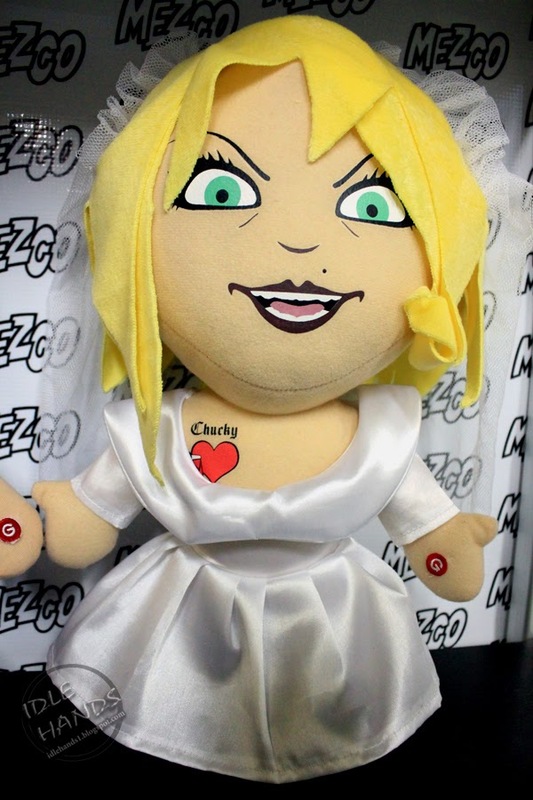 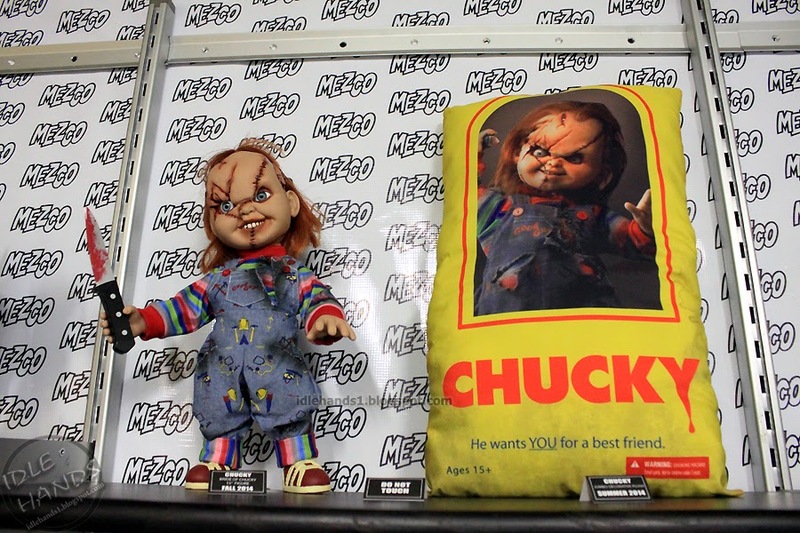 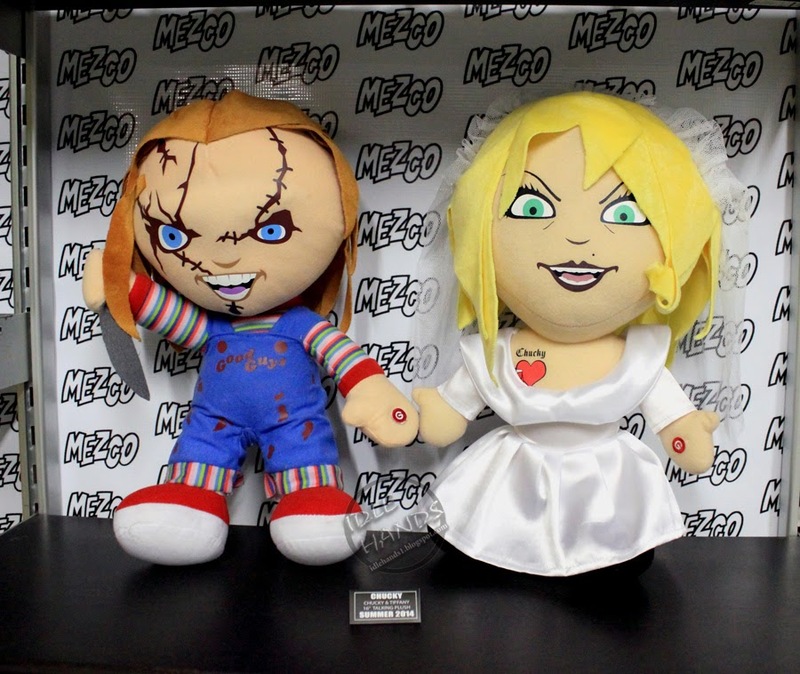 We also got a look at new Child's Play products with 16" Talking Chucky and Tiffany Plush (Summer 2014), a Bride of Chucky 15" Figure (Fall 2014) and Jumbo Decorative Plush (Summer 2014).